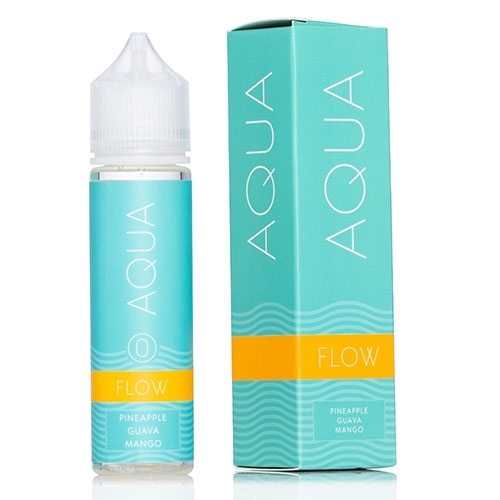 Aqua Flow E-Liquid (Marina Vape) is filled with the enticingly sweet flavor of Hawaiian pineapple followed by tropical guava and exotic mangoes for an exotic vaping experience that will take your tastebuds to an island paradise every time you vape. This e liquid authentically depicts a fresh blend of pineapple, guava, and mango that will awaken your taste buds with each and every puff. Upon inhale you will notice the guava and pineapple, followed by the prominent mango aftertaste which lasts well into the exhale Flow e-juice is fruity, clean and crisp and makes for a perfect all day vape. This is a smooth vape. It can be an ADV for me.